One of the fondest memories of my childhood will be a relaxing head massage by mom, who always managed to spare time to give me an invigorated 'champi' as and when required. She even insisted me to oil my hair after a head bath that I never agreed to. The tiny droplets of oil dripping from all over my forehead would make me look like 'tali hui poori' :/ Though I loved the gentle sheen that oiling gives my hair, but the idea of stepping out with oiled hair and scalp never clicked me somehow. 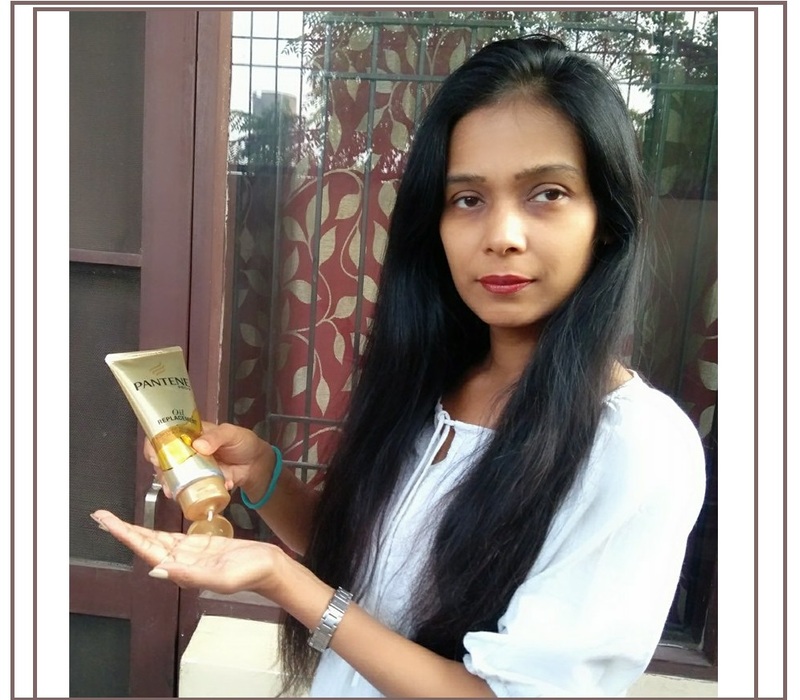 With the advent of new age hair care, long oiling hours are now history :) Pantene introduces an international solution to end the hassles of oiling with its revolutionary Oil Replacement to India. 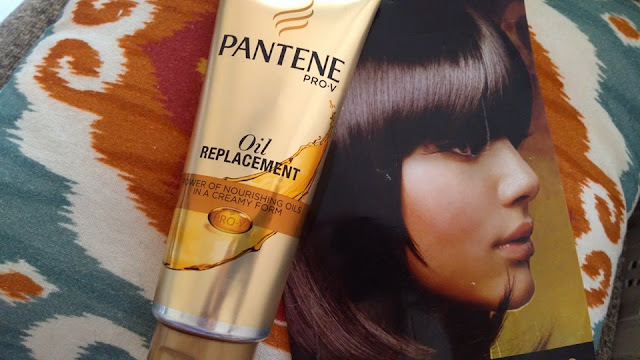 Since hair oiling is something I don't compromise about, I couldn't resist giving Pantene Oil Replacement a try. And Voila! My experience has been worth a shout out. Pantene Oil Replacement is a smooth, creamy formula packed in a gorgeous-looking golden squeeze tube. 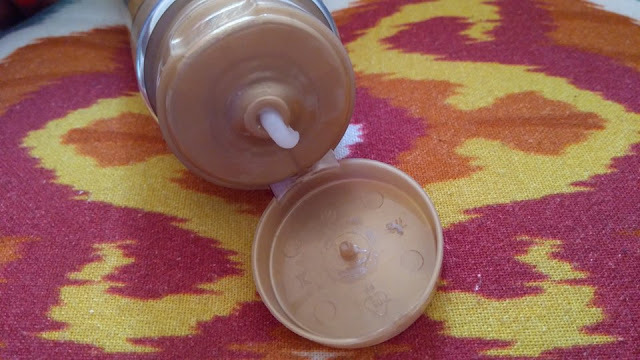 The spill-proof, tight-locked tube packaging is travel-friendly and can be easily pitched in your travel-kit. The product is a milky white cream that has soothing fragrance that pleases your senses. It's super easy to apply the product onto the hair along the length of your tresses till the ends. In past few weeks, I have experimented using the product in different ways and I can vouch for its efficacy in every situation. 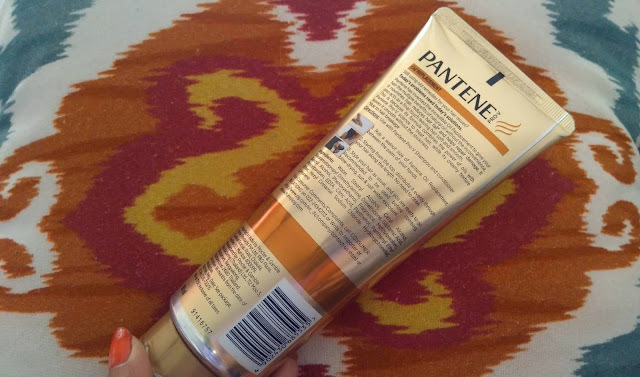 In the usual instances, I've been applying Pantene Oil Replacement on my damp hair post head bath and it really gets so easy to brush my hair without any tugging or tangling. 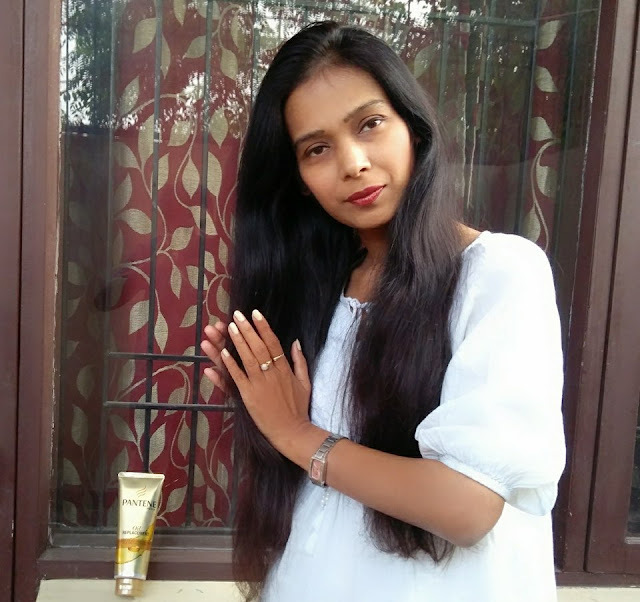 It genuinely gave me confidence of taking good care of my otherwise neglected hair due to packed schedule. What impressed me the most about the product is its absolutely non-sticky and now it has become possible for me to apply Pantene Oil Replacement while going to office every morning or even to social gatherings without bearing greasy residue of my scalp and looking messy. I may style my hair better than usual and need not to worry about unruly frizzy fly-away at all. I can undoubtedly ditch my hair serum when it's applied on dry strands on-the-go. 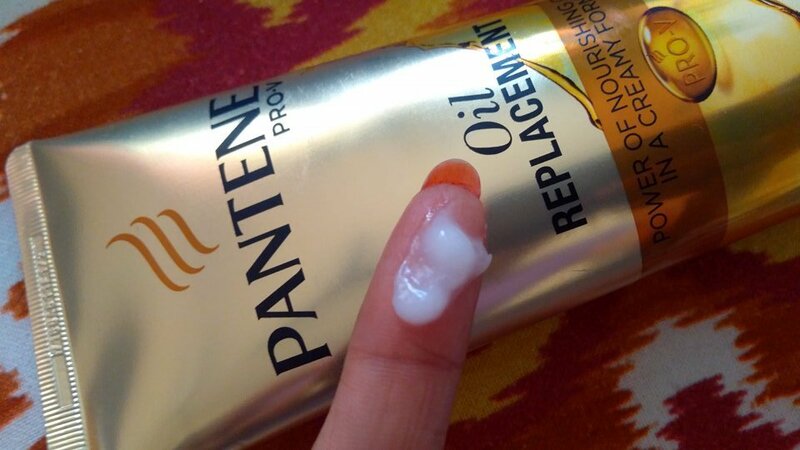 Pantene Oil Replacement also served as a great treatment to my dry hair when left on scalp as an overnight therapy. If you worry about staining your pillow and sheet, be relaxed as it's a deep absorbent formula and doesn't drip. Despite such comfortable application, the product doesn't compromise in necessary nourishment that it provides to my hair. Packed with Pro-V and goodness of oils, the product gives me 2 times stronger hair with intense nourishment. I must admit that in my hair care journey, Pantene Oil Replacement is certainly a result-oriented and budget-friendly (priced at Rs. 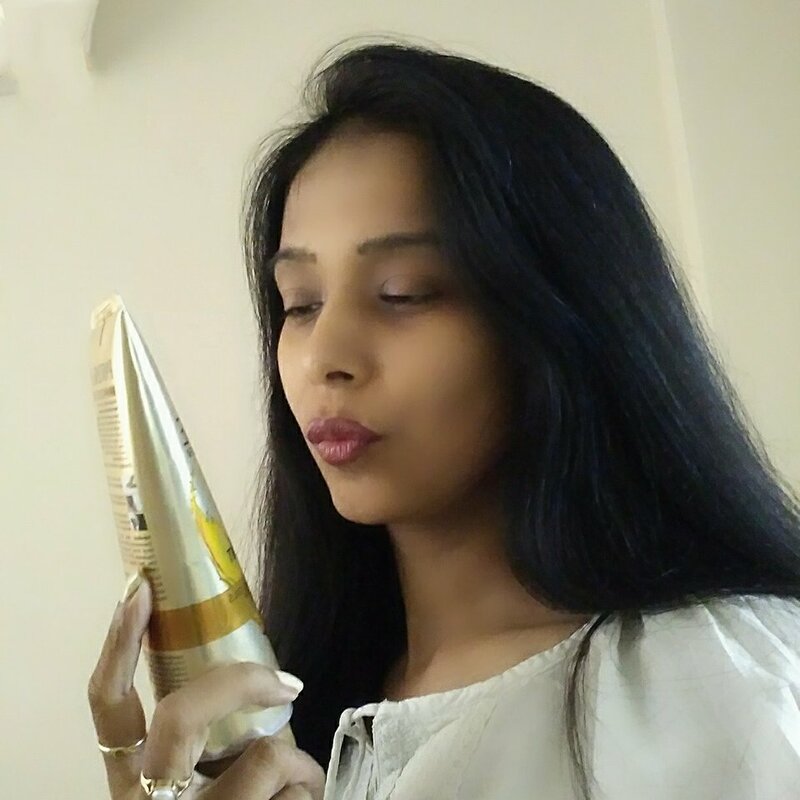 150 only) companion for betterment of my hair into much more softer, smoother and healthier condition that has worked for me and will surely prove beneficial in long run. 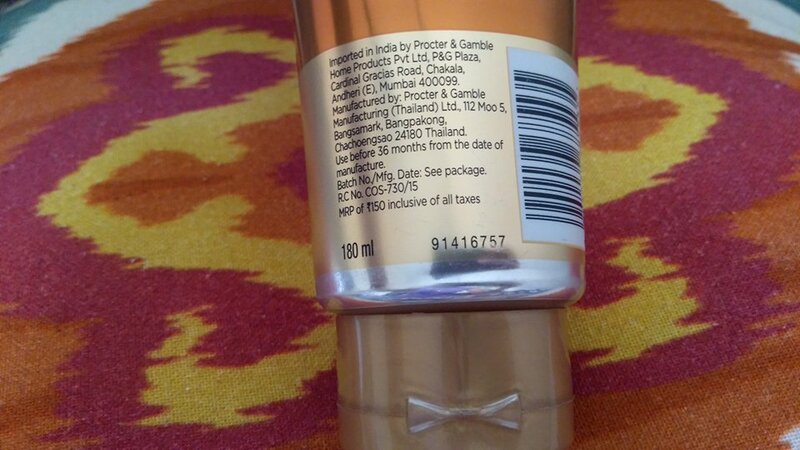 Labels: #NewPanteneOilReplacement, #TelKoTelLagao, hair care, Pantene India, Review. Your hair is fabulous so I will have to try this. Thank you for sharing your tips! This looks like a great product and something which works like oil is superb. Thanks for the review. 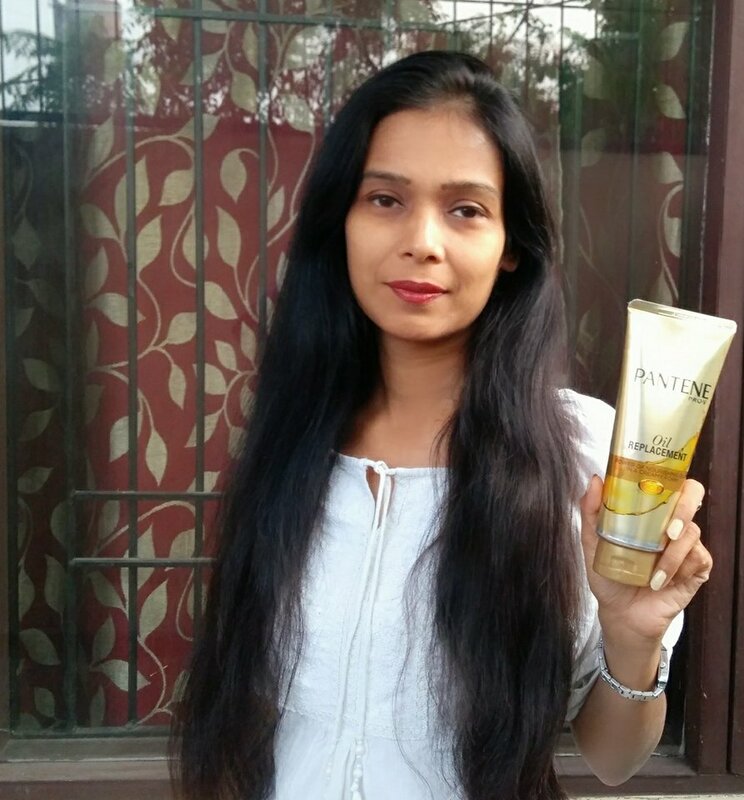 Love ur hair... pantene is a great product..loved d review will definitely try the product. Thanks for your detailed review, Shilpa. I feel like trying this product on my dry and frizzy hair. Thank you for sharing the review. I was actually looking for a review of this new product. Would try it soon. This looks like a great product. I think it will be great on my hair which is dry and frizzy and prone to dandruff too. I must get this. I've tried this product as well. It's not too bad.